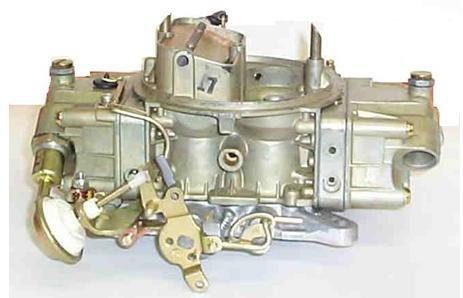 There were three different versions of the Holley carburetors for 1968 ½ 428CJ Mustangs. 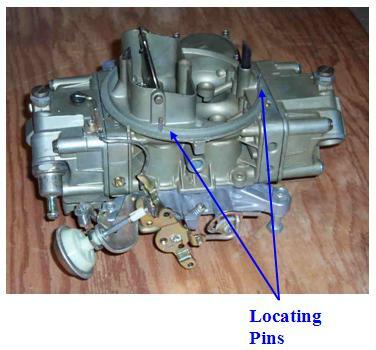 Early 1968 ½ carburetors had three steel pins located around the air cleaner mounting boss. 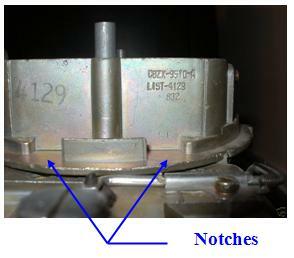 Other identifying features are the rounded casting features and a larger reinforcing rib at the base of the center body. 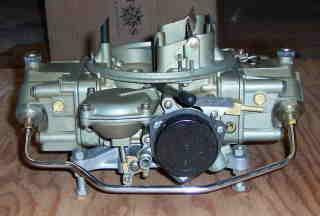 Production carburetors dated 833 through at least 854 had these features. 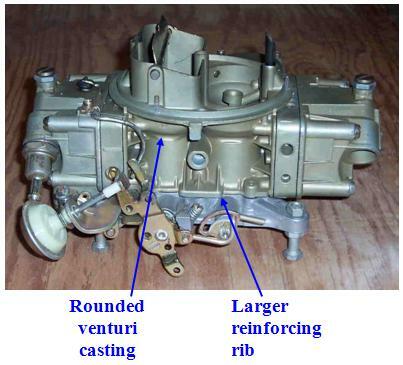 Carburetors produced later in the model run and continuing with the 1969 models had a modified center body casting that replaced the two front pins with ridges cast into the choke horn. Additional modifications included material added to the base of the front bowl vent and two cast in pads between the air cleaner locating ridge and the choke air horn. This version appeared sometime in June of 1968. 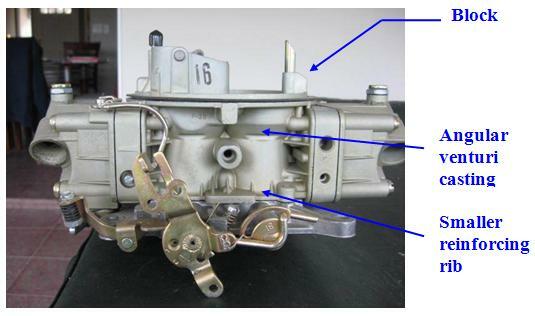 The earliest* carburetor with this center body style that we have found is dated 864. 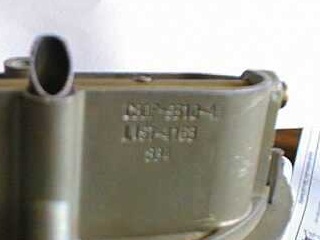 The pin located in back of the secondary bowl vent was replaced with a block cast into the bowl vent boss, one of the reinforcing ribs was resized and the center body casting was reshaped to have more angular features. 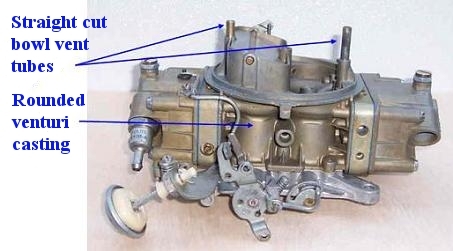 Reproduction carburetors can be identified by the lack of either the locating pins or the ridges on the choke horn. 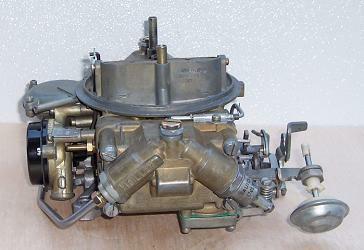 The bowl vent bosses are also different than on either the early or late production carburetors. 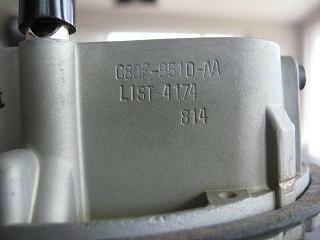 * A few of these carburetors have been spotted with date codes of 813 and 814. It is currently believed that these units were actually built sometime after the running change in June. Thanks to Pete Disher, Tim Lea, Gilles Marcotte, Chris Simon and Kerry Wortman for supplying pictures and information used in this page.